So you bought an adjustable Titleist driver, fairway wood or hybrid but don’t know what the letters and numbers mean on the hosel. We are here to help! The letters and numbers on the SureFit hosel represent different settings you can adjust the club to. 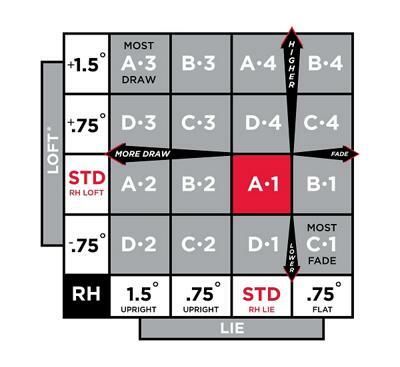 Each position corresponds to a specific loft and lie combination. 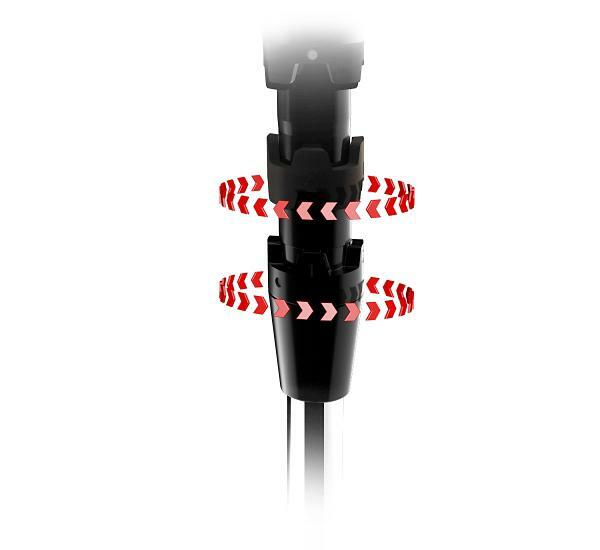 You can use the SureFit hosel to dial in your ball flight and get the most performance out of your club. The charts below tell you what each letter and number combination does. 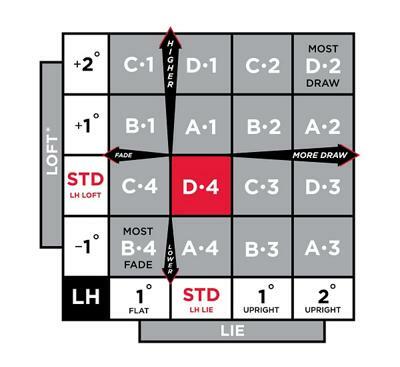 A right-handed club’s standard setting is A-1 (LH club’s standard setting is D4). From that position, you can adjust the club’s loft up .75 or 1.5 degrees or down .75 degrees. You can also adjust the lie angle +.75 degrees, +1.5 degrees, or -.75 degrees. Let’s look at some examples of settings and what they do to ball flight. For a righty that wants to hit it a little higher with more draw bias could adjust the club to D-3. If a righty needs the ball to go lower and a little right, a switch to C-1 would do the trick. To do the adjustments, use the tool to loosen the screw in the hosel. Loosen it until the head comes off. Line up the letter and number combination you would like to adjust it to with the dots on the hosel. Place the driver head back on and tighten until the tool clicks once. That’s our brief guide to adjusting your Titleist club with a SureFit hosel. If you have more questions, ask one of our PGA Professionals. They would love to help you out!